HomeWithout Pants-Tattered Tacos by @RonovanWrites. 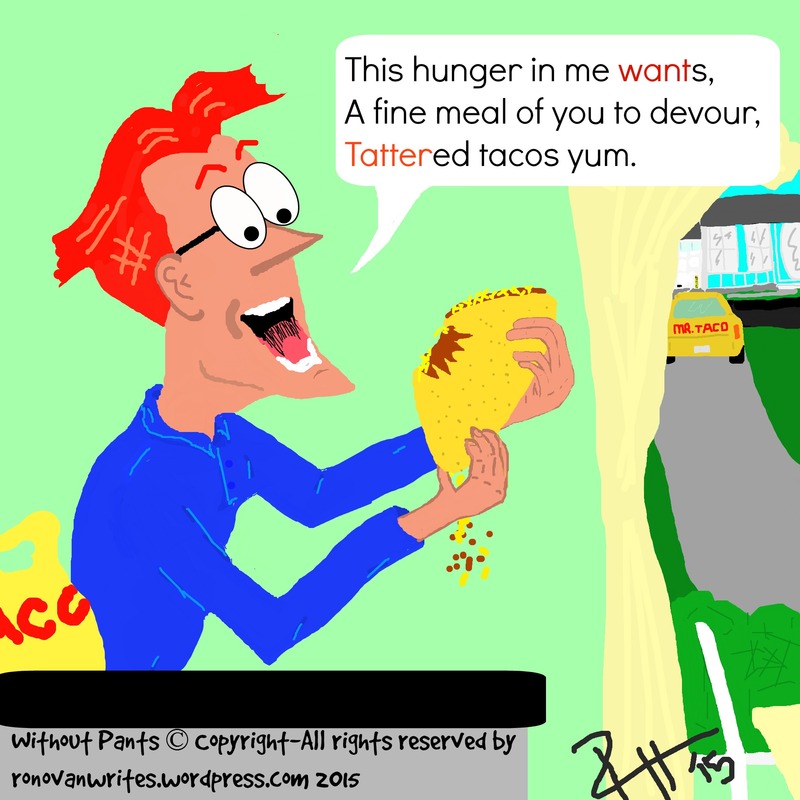 Without Pants-Tattered Tacos by @RonovanWrites. Welcome to the first published Without Pants comic strip by me, Ronovan. Yes, creator and all. A comic strip created almost 20 years ago or more, and I’m finally going to do something with it here. And yes, that is a Haiku. Brilliant! Can’t wait to see more. I am in the room you know? It’s not like I’m not here. That’s okay, Ron. We’d say it even if you weren’t in the room. Oh wait. Is that backwards? I would say the character has a back story, but being that it’s called Without Pants, mentioning a back story might not sound right. Oh, there you are. In the room. With us. Now. With no pants on. Gotcha. Really great comic Ronovan. Your talents are endless! I hope you share the twenty year journey with us someday. The above comments have me in stitches! !